Leapfrog Regional Leaders meet regularly to review key messages and communications strategies, as well as collaborate on best practices for increasing value-driven health care in their own communities. 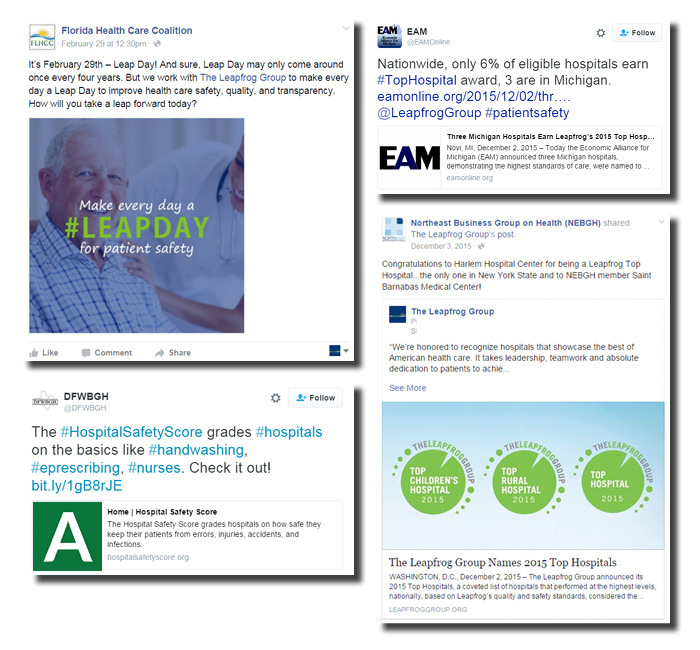 Leapfrog provides resources on disseminating quality and safety data appropriately to various stakeholders, and manages the Bruce Bradley Fellowship to provide additional training to employers and purchaser coalitions on high-value benefits design and steerage. Regional Leaders are also granted free access to Leapfrog data to engage purchasers, hospitals, and patients. Become a Leapfrog Regional Leader.